Sioux City, Iowa – November 29, 2017 – PC Matic Pro has been named a gold winner in Most Innovative Product of the Year – SMB in Best in Biz Awards, the only independent business awards program judged each year by prominent editors and reporters from top-tier publications in North America. Developed, researched, and supported in the U.S., PC Matic Pro is the only trusted security software available proven to proactively block modern-day cyber security threats. 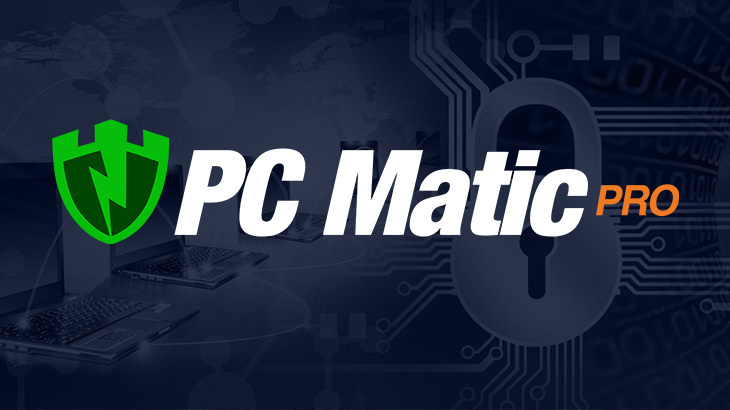 PC Matic Pro’s in-house malware team is exclusively dedicated to consistently maintaining and updating the software’s technology for real-time protection against ransomware, advanced persistent threats, polymorphic viruses, zero-day attacks, and fileless scripting attacks. PC Matic has proudly served and scanned over 4 million computers with their home and business security solutions. In 2016, PC Matic launched PC Matic Pro, providing their PC Matic software to SMBs and businesses. Over the last 12 months PC Matic Pro has launched a security program specifically for server protection, and enhanced their security solution to include fileless malware attacks. Each year, Best in Biz Awards’ entrants span the spectrum, from some of the most innovative local start-ups to the most recognizable global brands. The seventh annual program was particularly hotly contested, with more than 650 entries from an impressive array of public and private companies of all sizes and from a variety of industries and geographic regions in the U.S. and Canada. Best in Biz Awards 2017 honors were presented in 65 categories, including Company of the Year, Fastest-Growing Company, Most Innovative Company, Best Place to Work, Support Department, Executive of the Year, Most Innovative Product, Best New Product, App, Event and Website of the Year. Since 2011, winners of Best in Biz Awards have been determined based on scoring from independent judging panels composed of prominent editors and reporters from some of the most respected newspapers, TV outlets, and business, consumer, technology and trade publications in North America. Best in Biz Awards’ uniqueness stems, in part, from this distinct composition of its judging panels, allowing it to best leverage the judges’ unparalleled expertise, experience and objectivity to determine award winners. The 2017 judging panel included: Accounting Today, AdWeek, Associated Press, Atlanta Tribune, Business News Daily, Consumer Affairs, Entrepreneur, eWeek, Forbes, Harvard Business Review, Healthcare Innovation News, Inc., Investment Advisor Magazine, Laptop, MediaPost, Pittsburgh Business Times, Security Products Magazine, Wired, WLRN and Yahoo Tech. Since 2011, Best in Biz Awards, Inc. has made its mark as the only independent business awards program judged each year by a who’s who of prominent reporters and editors from top-tier publications from North America and around the world. Best in Biz Awards honors are conferred in two separate programs: North America and International, and in 65 categories, including company, team, executive, product, and PR and media. For more information, visit: http://www.bestinbizawards.com. PC Matic PRO, PC Matic Pro - Channel, Press awards, Best in Biz, pc matic pro, SMB. permalink. When one has a life time membership do we have to buy these new adorns? Hi Glen — I’m not certain what new adorns you’re referencing, but the home version has the same protection model as PC Matic Pro (which is for business use). So if you are a lifetime home subscriber, no – you don’t need to buy anything new.